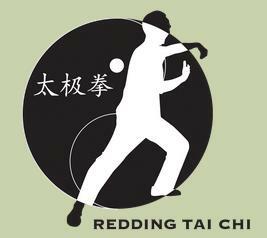 Members of Redding Tai Chi will be building a low-impact exercise area for meditative exercise. We want to bring to our community a project that blends art and nature and is accessible to people of all ages. We feel this would be beneficial not only to members of our community but would also be a unique draw for those visiting Redding and the North State. 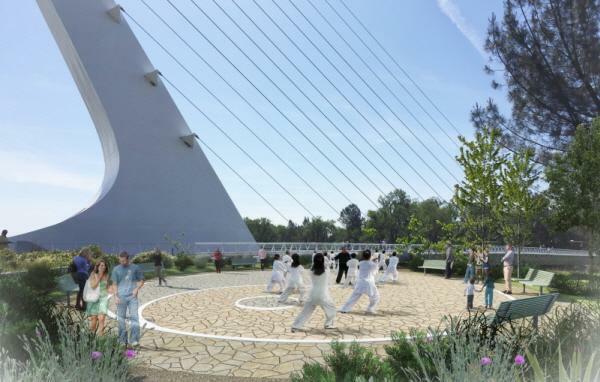 The Redding Tai Chi Meditation Garden will be the only Tai Chi court on the West coast with this design. With that in mind, we have the support of the Turtle Bay Exploration Park which has donated a building site located at northwest side of the Sundial Bridge and we have approval from the City of Redding to build our project. We also have partnered with the Shasta County Arts Council for fiscal sponsorship to collect donations as a 501(c)(3) non-profit corporation. Donations: You can make a difference in our community by contributing to the success of this project. 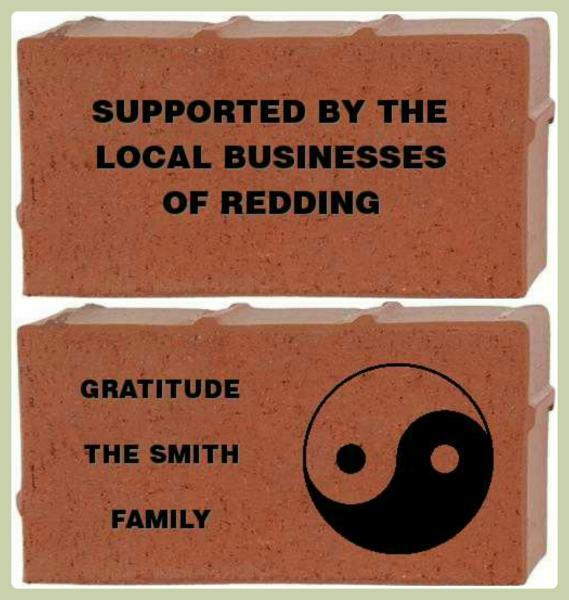 In return for your donation of $125.00 or more we will engrave a brick with a name, date, or wording of your choosing and place it on the walkway that leads to the Tai Chi Meditation Garden. Donations are made payable to the Shasta County Arts Council, Tai Chi Meditation Garden Project. The Shasta County Arts Council is our fiscal sponsor, and donations are tax-deductible.